Vinegar has many uses and many variations. One popular variety of vinegar is called distilled vinegar. 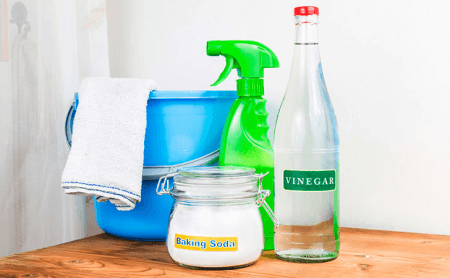 This article explains the difference between vinegar and distilled vinegar. Commercial vinegar is made by employing either slow or fast fermentation procedures. Traditional vinegar is typically produced using slow fermentation processes which can last anywhere from several months to a year. Fast production methods can produce vinegar in as short as 20 to 72 hours. Distilled vinegar is not actually produced through any modern or traditional methods of distillation known to North America. It is, however, produced by subjecting distilled alcohol to a fermentation process. The fermentate (i.e. product of fermentation) is then mixed with water to create a colorless solution with a 5% to 8% acetic acid content with a pH level of about 2.6. This produces distilled vinegar, also known in other places as “virgin” vinegar, distilled spirit, white vinegar and spirit vinegar. In the UK, malt is distilled to produce clear vinegar with a hint of malty flavor. The use of distilled vinegar is not confined only to cooking, baking and food preparation. Distilled vinegar diluted with water is commonly used in cleaning to get mineral deposits off of coffee makers, glass and other smooth surfaces. It is also used in polishing bronze, brass, and similar metals. Distilled vinegar is also reputed to be an effective agent in fighting bacteria compared to leading disinfectants. So, what’s the difference between vinegar and distilled vinegar? While distilled vinegar is essentially a type of vinegar, one of the few differences between them is how they are made. Vinegar comes from food which has natural sugar content, and depending on the type, can be apple, cider, grape or sugar cane vinegar. Distilled vinegar can be derived from malt, barley or corn. 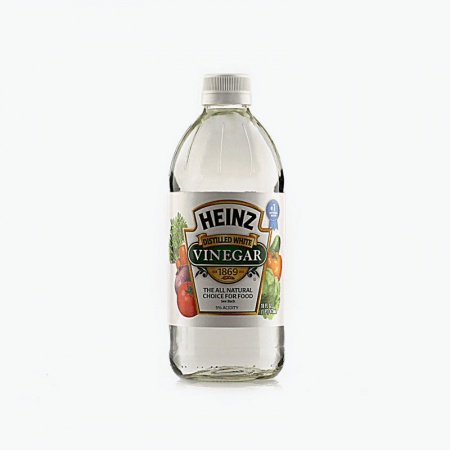 Vinegar can contain anywhere from 5% to 20% acetic acid, while distilled vinegar has an acetic acid content of 5% to 8%. Acetic acid is what gives vinegar its sour taste and is one of its main components, along with water.